Irena Orlov is a celebrated artist. She has recently released her new work and the collection has been titled, ‘Storm of creation’. The work is being exhibited at the 21st Beijing Art Exp under the category of new media abstract art. Irena Orlov is a celebrated artist. She has recently released her new work and the collection has been titled, ‘Storm of creation’. 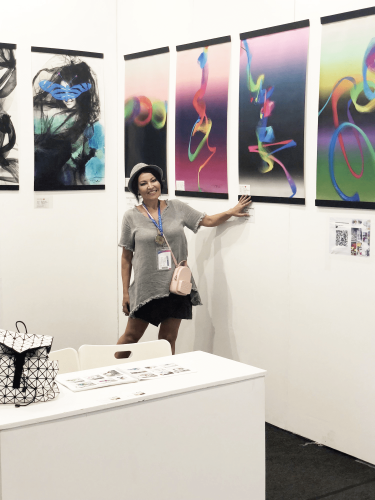 The work is being exhibited at the 21st Beijing Art Exp under the category of new media abstract art. , California - March 18, 2019 /MarketersMedia/ — Irena Orlov is a celebrated and renowned artist. She also dabbles in photography, designing, illustration and more. Known for the most captivating works which are always exuding energy, she is known for bringing dynamism to the table. She has recently released her new work and the collection is titled, ‘Storm of creation’. Every piece speaks of the massive flow of energy and leaves the viewers thinking about the different realms and their aura. Art is a great way to express who one is, their ideas and expression as well. Irena Orlov makes it a point to infuse the work with the right emblem of energy and her work speaks highly of the thought process which must go in her mind. Such is her prolific track record that her work has been exhibited at some of the best shows all around the world. Her new work is also being exhibited at the 21st Beijing Art Exp; the chosen category is new media abstract art. Irena Orlov is one of the top artist, designer, and photographer who deal in the best of abstract art. She has been designing some of the finest art pieces which are also put in prestigious exhibitions.